Have you got your Christmas buffet ready yet? 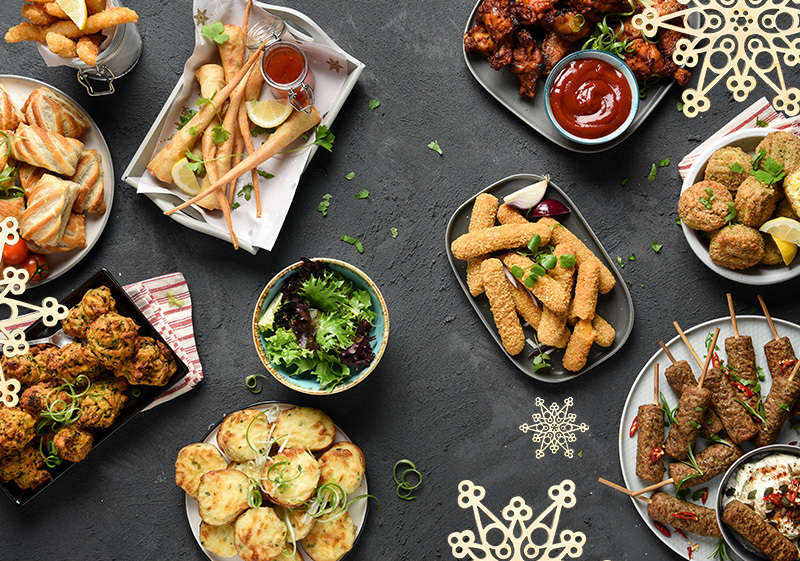 From traditional sausage rolls to mozzarella sticks, we have everything you need to create a magical Christmas spread! Our Christmas buffet range shown above is all available at promotional prices during November and December. 200865C – Moy Park Chicken Wings of Fire are marinated in a hot fruity sauce and oven roasted to ensure maximum flavour. Perfect for those who like a bit of spice. 205691C – Chefs Selections 1.5″ Sausage Rolls are just the right size for a finger buffet – served either hot or cold. 201177C – Authentic Foods Vegetable & Spinach Pakoras are a delightful combination of potato, cabbage, onion and spinach in a uniquely spiced batter. Suitable for vegan diets. 205665C – Golden Crumb Jalapeno & Red Pepper Mozzarella Sticks are easily and conveniently cooked from frozen providing a spicy addition to the feast. 205823S – Pacific Prawn Twisters are eye-catching, providing a seafood treat easy to handle. 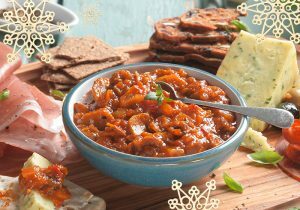 Is a Christmas buffet complete without a delicious range of chutneys and pickles? We think these wonderful products from Claire’s Handmade are the best! Pictured above is the Hot Garlic Relish ( 308988C) which is bursting with garlic, flavoured with ginger root and red chilli. Perfect for not just cheeseboards, but buffet feasts too. 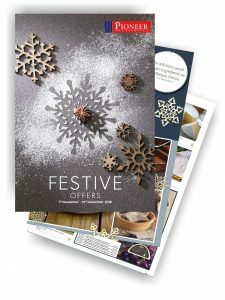 Download all our festive offers today!